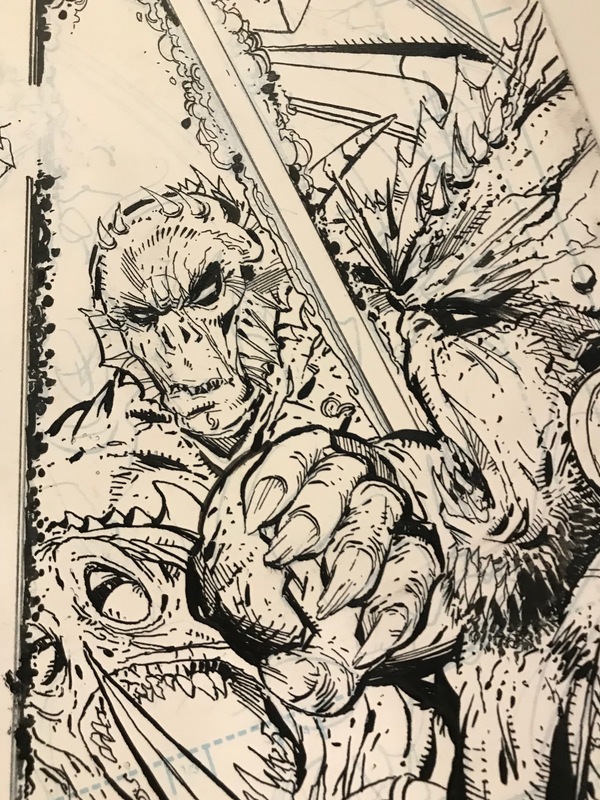 Sneak Peek at Spawn Issue 299 Cover! FOLKS!! I’ve been working on ANOTHER Spawn cover (Spawn issue 299) using the the ol’ pen and paper technique! Here’s a SNEAK PEEK at some of the art for the cover and I bet you’ll notice something FAMILIAR about the composition! 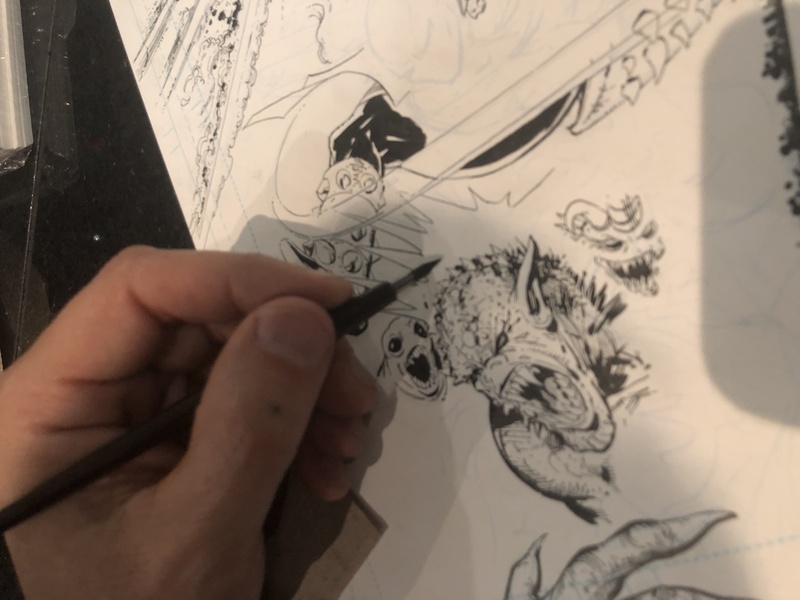 I’ll show the finished cover later this week. 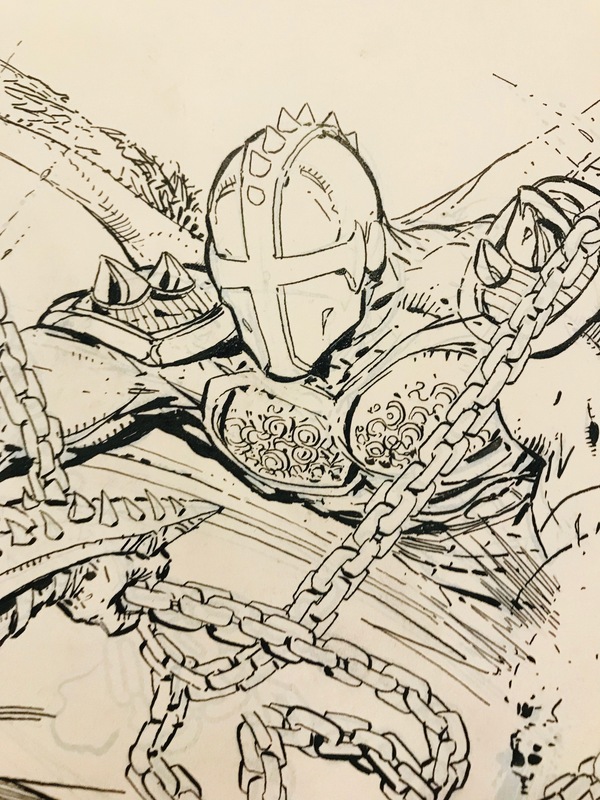 AND that means the NEXT cover I’ll be working on is…SPAWN 300!!!!! !